It’s a hot Saturday evening in the outskirts of Ghana’s capital Accra. On the first floor of a small office complex, a group of people have gathered in a private library called Libreria. This private initiative is needed as state-funded libraries are few and sadly most often poorly equipped. At Libreria, both middle-class Ghanaians and schoolchildren borrow books. The small crowd here this evening includes intellectuals, students and activists. They are gathered to discuss British Prince Charles and the Duchess of Cornwall, more popularly known as Camilla, and their four-day state visit to Ghana. Overall, the visit lasted nine-days and included stops in Gambia and Nigeria. In Ghana, where I live, a comprehensive program was rolled out where school children lined the streets waving British flags. Music artists and the elite received invitations to parties and receptions. Meanwhile, Ghana’s highest state medal was conferred to Prince Charles and a park was named after him in Kumasi. The royal visit was warmly and uncritically welcomed in local media. The state visit can of course be classified into the Brexit afterthoughts category. In his speech, Ghana’s President Akufo Addo promised to remain a friend to Britain. Akufo-Addo is a former diplomat and maintains very close links with European leaders. This time, the President was seen posing side by side with Prince Charles on major billboards across the city with the message “Shared History, Shared Future.” Ghanaian and British flags flew together. This so-called “shared history” of course includes the devastating and exploitative slave trade and vicious colonization of Ghana. It has been only 62 years since Ghana became the first colony in Africa to gain independence from Britain. What would the Prince and Ghana’s President talk about? In similar language, the Prince in a speech discussed the slave trade as an “appalling atrocity,” that “included” Britain, and thus its “shared responsibility” for it not to be forgotten. Although the statement was a half-hearted attempt at addressing this part of Britain’s dark history, it was also an outrageous understatement, considering that Britain accounted for a large part of all slave trade and only ever compensated slave owners. The subsequent colonization of Ghana was never mentioned in any official communication during the visit. 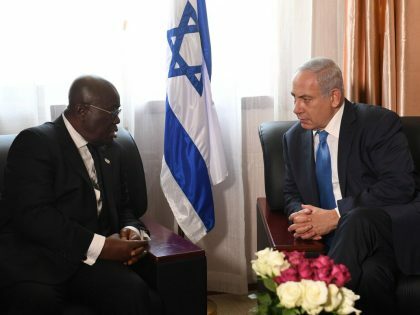 Akufo-Addo also played up the two nations’ “shared” history in his remarks. African and specifically Ghanaian reactions were muted. 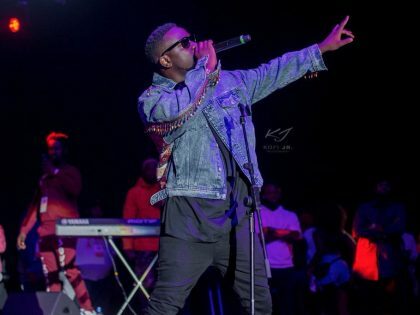 Kenyan YouTube TV-show host Dr Mumbi asked of Akufo Addo’s real agenda and Ghanaian artist Fuse ODG complained in an Instagram video that he was “genuinely confused about the fuss that’s being made about Prince Charles visit to Ghana.” But otherwise public figures in Ghana and elsewhere on the continent seemed apathetic and disinterested in the Royal visit or its celebratory framing. “We have to understand that many Africans in the UK voted for Brexit because they believe this could have a positive impact on African economies by facilitating more trade with the UK,” says a British-Ghanaian woman. “I was concerned that the prince did not know that Ghanaian students wishing to study in Britain need to take a test to prove that they know English (TOEFL) even though all our higher education courses are in English, our official language!” says a student. “And that we have to queue in the scorching sun with our documents to apply for a student visa. And yet get rejected so often!” says another student. Their concerns both highlight the uneven power relations between Ghana and the UK, as well as provide examples of the neoliberal environment Ghanaians have to navigate. The imperialist tradition in Africa today maintained by the international bourgeoisie using the multinational and of course the flag-waiving native ruling classes. The economic and political dependence of this African neo-colonial bourgeoisie is reflected in its culture of apemanship and parrotry enforced on a restive population through police boots; barbed wire, a gowned clergy and judiciary; their ideas are spread by a corpus of state intellectuals, the academic and journalistic laureates of the neo-colonial establishment (1986, p.2). What places need to be decolonized in Ghana? Is it the media that reports uncritically and ahistorically? Is it the universities where a degree from Europe and the US is still more highly valued than one from the African continent? Is it the receptions honoring Prince Charles, where Ghana’s elites take selfies that they then post on Instagram with the hashtag #squadgoalz? Or is it, as Ngugi suggested, the minds, guarding history a little more? Ghana’s agency should also be highlighted and questioned. Not all the leaders of West Africa smiled and proclaimed friendship during the Prince’s visit. In fact, a traditional leader in Benin asked the Prince to help return the artifacts taken away by the English in 1897, so that the locals could open their own museum. 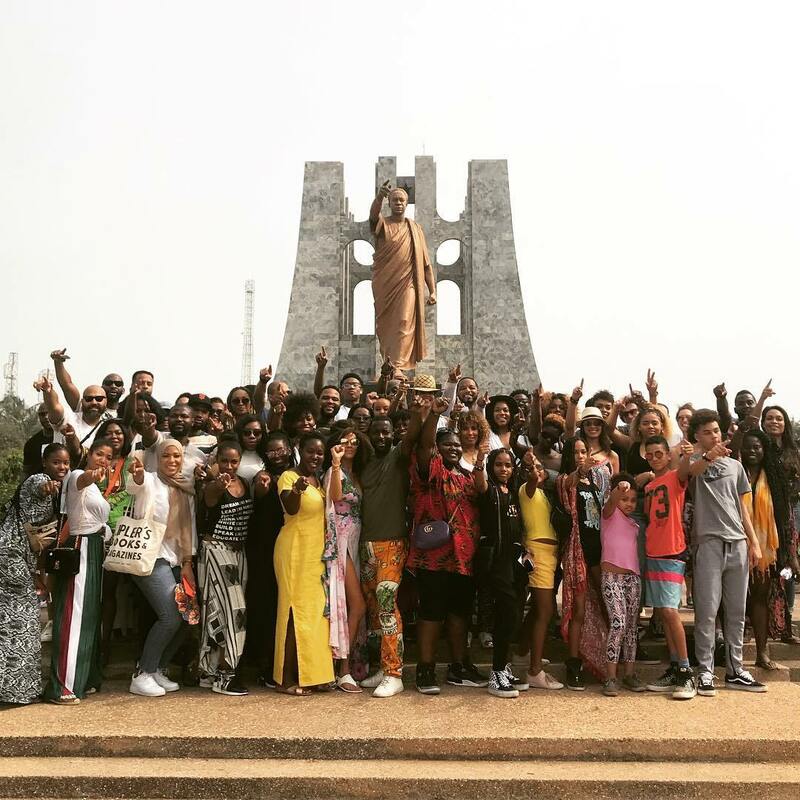 In contrast, much more discussed was the visit by foreign celebrities to Ghana in December under the heading Full Circle Festival—to commemorate the 400-year anniversary of the transatlantic slave trade. The group, led by Hollywood actor Boris Kodjoe (he is of part-Ghanaian descent) and Ghanaian marketing guru Bozoma Saint John, had glamorous African American and Black British celebrities, such as Naomi Campbell, Anthony Anderson, Rosario Dawson and Idris Elba, in tow. The celebs were discreetly bussed around the country to hushed VIP locations, quite contrary to the bombastic public events for the royals with school children lining the streets. However hushed the celebrity trip, the ensuing conversations were more about what was in it for Ghanaians? Or who really benefited from the trip? Or what kind of media coverage it all received. How can we understand the more critical and free response to Black Hollywood celebrities than to the old colonial power? The answer may lie in cultural, economic and political power because Ghanaians—since Nkrumah and including the young people gathered at Libreria—have looked more across the ocean for inspiration and connection than to the old, colonial power. It is telling that the enstoolment of one of the American visitors—the action star Michael Jai White—as a Akwamu chief got more media attention, outside Ghana’s elites, than Prince Charles’s visit could ever achieve. In Ghana, political leaders, religious leaders and leading rappers all have one thing in common: internalized anti-blackness. 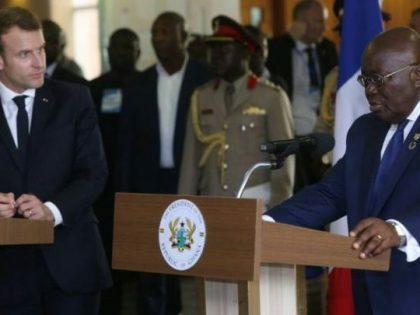 Many social media users have construed Akufo-Addo’s words in the President of France’s presence, as somehow radical.